There is a field called consciousness. It is a communal field. Each of us seeds that field with every thought, choice and action we take. Our challenges, failures and successes are recorded there. Each of us also harvests from that field, reaping the benefits (or detriments) of what we and others have sown. 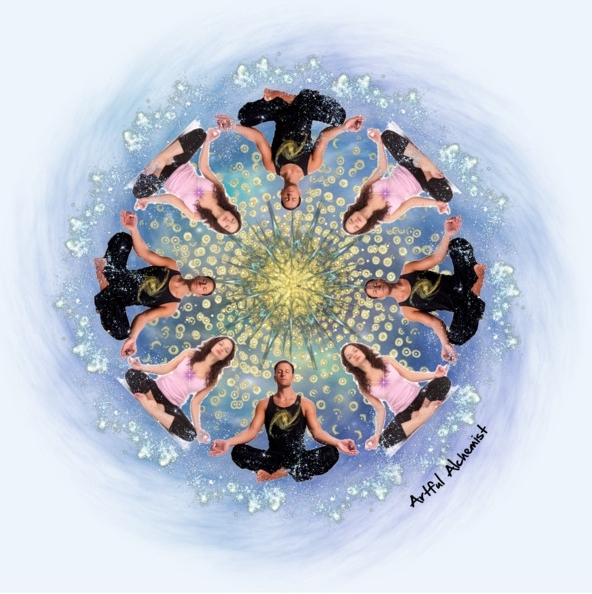 Through a phenomenon biologist Rupert Sheldrake calls morphic resonance (also known as the hundredth monkey effect), when a new skill is mastered by enough of us, it becomes easier for the rest of us to master. Just watch a 4-year-old with no official training intuitively use a computer or play a video game. These technological skills have been seeded into the field. Our little ones are born technologically savvy. Unfortunately, fear and violence and greed have also been seeded into the field over eons of time, and our little ones inherit this as well. But we can continue to plant seeds of peace and hope and when enough of us do, we will shift the pattern of collective consciousness. If we literally envision collective consciousness as a field, we can imagine that our individual thoughts and actions leave an imprint upon it, like a footprint in wet grass. A thought or act of peace might bend the blades in one direction, a thought or act of violence might bend them in another. All of our thoughts and actions, taken together, create a pattern of imprints, like a crop circle in a field of wheat. We can leave an imprint of chaos and ugliness, or we can create an intricate and beautiful pattern. 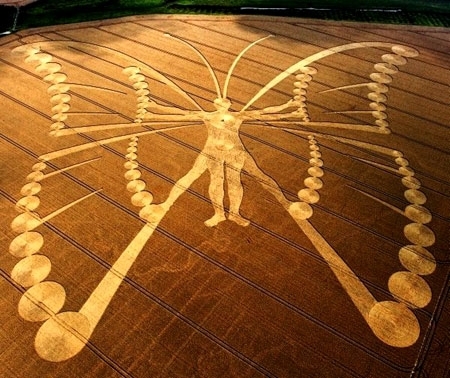 Regardless of whether the crop circles that appear in fields all over the planet are man-made or other-worldly, the imprints left in the field of consciousness ARE man-made, by you and me. It can sometimes feel overwhelming to think about changing the world. Yet we are doing so, every minute of every day with every thought, choice and action. There is a field. I’ll meet you there. What imprint shall we leave?